It might have been formally decommissioned as US highway, but Route 66 is probably still the most famous road in the world. The inspiration for novels, films, a TV show and countless cover versions of one of rock 'n' roll’s greatest anthems, ‘The Main Street of America’ has earned iconic status. But despite its fame, there were still many things I was surprised to discover about Route 66 when I started researching my road trip from Chicago to Los Angeles (LA). Here are five of the most surprising facts you might not know about legendary Route 66 – other than the fact that the road still exists! 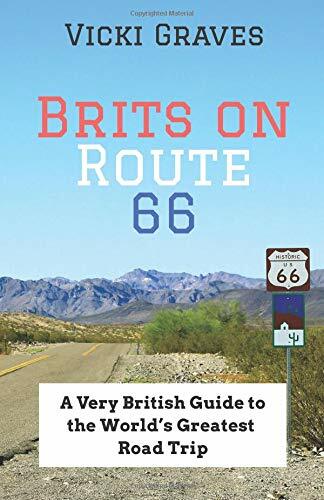 How does getting your kicks on ‘Route 60’ sound? Not very exciting? But that may have been the case if Cyrus Avery, the ‘Father of Route 66’ and the highway’s planner, had got his way; ‘Route 60’ was Avery’s original choice of name for the 2,448 miles of road between Illinois and California. As President of the Associated Highways Associations of America, Avery was part of a group working to implement a national highway system, including a cross-country road to LA. Each new road would be identified by a number, with even numbers used for those running east to west and odd numbers for those travelling north to south. With the most important highways ending in either ‘0’ or ‘1’ at the time, Avery had his sights on ‘Route 60’ for his Santa Monica highway. But officials in Kentucky wanted that name for another road. A battle ensued – Avery had already started manufacturing Route 60 signs – and the Kentuckians won. Avery was forced to choose a new moniker for his highway – Route 66. It was available and he liked the way it sounded. He may not have got the number he planned, but Avery did manage to secure the path he wanted for Route 66 – right through the city where he lived. At first, it was suggested that the transcontinental road should begin in Virginia. It would then weave across Missouri, Kansas, Colorado, Utah and Las Vegas, ending in California. But that would of course would miss out Oklahoma, depriving Avery’s home state of lucrative opportunities to capitalise on passing tourism. So Avery proposed a different course – one that would pass straight through Tulsa, home to the Avery family! He sold his idea to officials as a way of avoiding the heights of the Rocky Mountains, enabling them to take advantage of the established trade route between St Louis and Chicago. It worked; Tulsa celebrated Avery’s legacy to the city by renaming its Eleventh Street Bridge the ‘Cyrus Avery Route 66 Memorial Bridge’ in 2004. Santa Monica has two ‘markers’ to signal the end of a Route 66 road trip. Although both make great backgrounds for a selfie (the one on the pier is the best), neither are located on the exact point where Route 66 ends. Legally, a US highway can only end when another joins it. Thus the official end point of US 66 is at Lincoln and Olympic Boulevard – a busy junction that’s both unsafe and unattractive to camera-wielding tourists. Hence, the picture-perfect ‘End of the Trail’ sign on Santa Monica Pier and the informative ‘Will Rogers Highway Marker’ in Palisades Park (Route 66 is also known as the Will Rogers Highway on account of the Hollywood actor who used to travel along it). Route 66 was realigned multiple times throughout its almost 60 year history, but the reasons for this weren’t always to improve efficiency or replace sections that had fallen into disrepair. On at least one occasion, the re-routing was rumoured to be a result of a political spat. Up until 1937, Route 66 journeyed through the New Mexican capital of Santa Fe. Around this time, American politician A. T. Hannett lost his battle to be re-elected Governor of New Mexico. Blaming it on politicians in Santa Fe, Hannett decided to get his own back – by changing the course of the lucrative Route 66 through Albuquerque and bypassing businesses in Santa Fe. The move shortened journey times considerably, effectively cutting the state capital out of Route 66. It’s still possible to drive the old stretch of 66 on the ‘Santa Fe Loop’ (that’s what my husband Dave and I did to ensure we got to see its Pueblo style architecture and an entirely different side of Route 66 - read more in my book), but many opt for the shorter distance to save time. Although cars were becoming increasingly popular in the 1920s, roads were unsophisticated and often made from dirt. When the new interstate highway system was conceived, it was quite a departure from the norm, so officials had to devise a strategy to encourage people to get out on the open road. Route 66 was promoted through a number of marketing and PR campaigns, including the creation of logo, development of the ‘Main Street of America’ slogan and even a publicity stunt in the form of a 3,423.5 mile ultra-marathon between LA and New York. What else has surprised you when planning your Route 66 road trip? I’d love to hear from you in the comments.